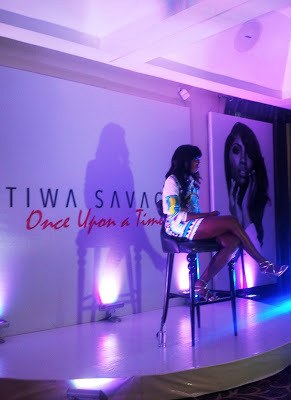 Tiwa Savage held a listening party for her upcoming album 'Once Upon A Time' on Sunday May 26th. The star studded party was held at Wheat Baker Hotel in Ikoyi and the attendees listened to the 19 tracks on the highly anticipated debut album. 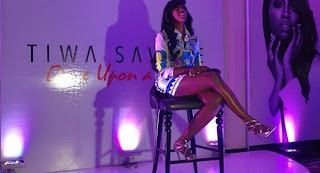 The Kele Kele hit maker arrived in a white printed collar shirt dress by Greek Fashion Designer, Mary Katrantzou which she teamed with silver sandal heels. Her long curly hair was styled in a side parting with a fringe giving the beautiful singer a glamorous but yet very simple look. Present at the party was former model and one of Nigeria's most famous blogger Linda Ikeji, who looked amazing in a fuchsia colored mini dress with her long black hair styled in her signature center parting. 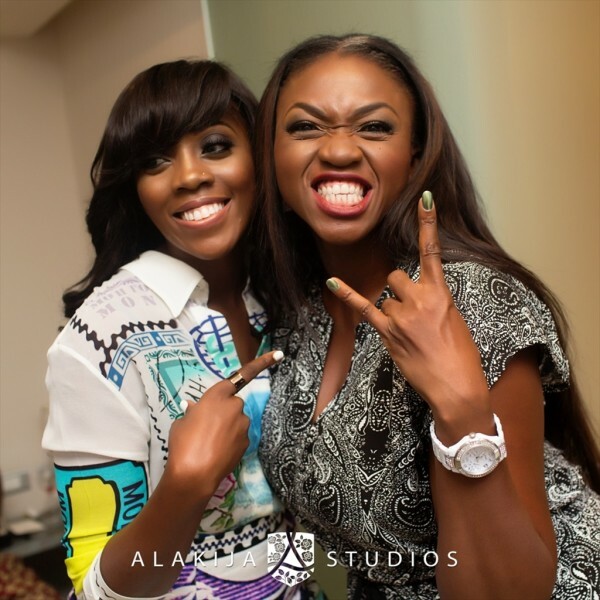 Also present was one of Nigeria's most successful female artist, Waje, Lynxxx, Banky W, Dolapo Oni, Eku Edewor and more. 'Once upon a time' is scheduled to be released on June 14th.